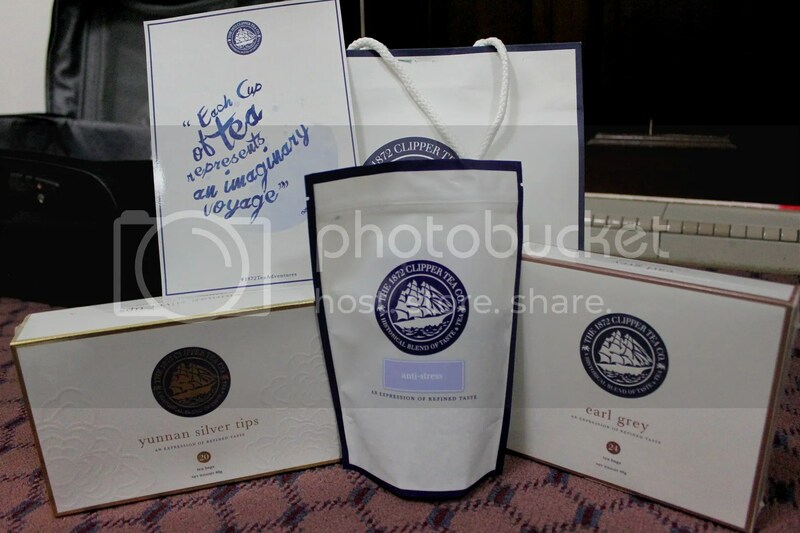 About two weeks back, I got wind that homegrown 1872 Clipper Tea Company was launching its new online shop (https://www.clippertea.com.sg) and got a chance to test out the web interface just prior to the official launch. What I liked about the site was its user-friendliness. The different teas available are categorized under very distinct sections (“Essentials” for flavoured Ceylon Teas such as Earl Grey or English Breakfast or Darjeeling, “Tropics” for the various Fruit Flavored Teas etc), each with just a handful of choices which does not overwhelm potential buyers. Armed with $50 of complimentary credit, I got for myself the Yunnan Silver Tips (also commonly known as Silver Needle and supposedly the most prized white tea around, according to the tea expert at a previous tea appreciation course by Gryphon Tea Company), the indispensable Earl Grey Tea, and a herbal blend named “Anti-Stress” made from Rooibos, chamomile, organic honeybush, lemon balm, fennel, lemongrass flavour and ginseng root. Currently, 1872 Clipper Tea is offering free delivery for orders above $50. Just something to think about if you are into teas or are on the lookout for gifts. You probably require a refresher for the useful tips every online small business owner should find out about. An HVAC repair customers are most often started by way of a technician who has learned the trade through previous employment. ” Employees at Nike are encouraged to become curious and open to new ideas, whatever their source. good stuff here. You really did your homework. Nice stuff. My brother recommended I would possibly lioke this web site. my day. You can not iimagine simoly how much time I haad spent for this info! you to definitely continue your great posts, have a nice weekend! to receive a person to person used auto loan. These establishments also have definite auto types for specific sorts of applicants and provide them an idea of what kind of arrangement they’ll be approved of.